Were They Responding to an Ad? If your ancestor apparently picked up and moved to where he knew no one, is it possible he was responding to an advertisement? 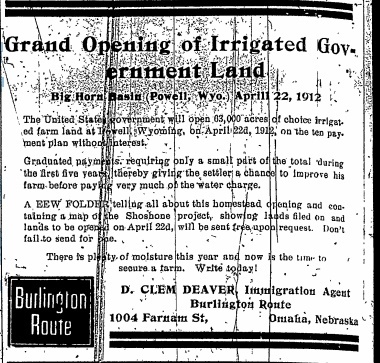 Speculators, land agents, promoted their projects and developments in a variety of ways–including newspapers. It might have been an advertisement that caused your ancestor to pick up and move to where he knew no one. 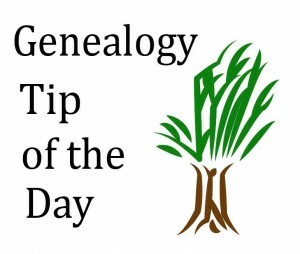 Genealogy Tip of the Day is proudly sponsored by GenealogyBank. Try their “GenealogyBank Search” and see what discoveries you make. Do not rely only on keyword searches to find items in digital images of newspapers. Some digital images can be difficult for the optical character recognition software to interpret correctly. 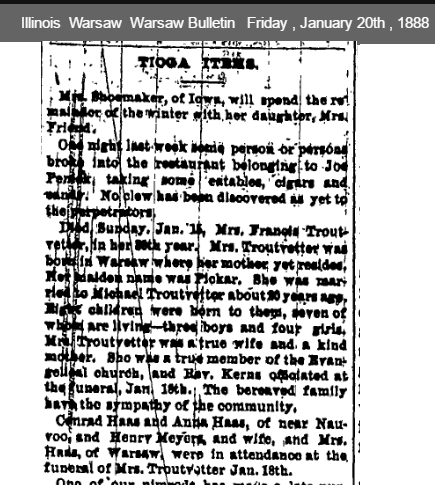 The 1888 obituary in this death notice was located by a manual search based upon the known death date. Take a manual look at the newspapers being searched by your keyword searches. The original images may make it easier to see why some things cannot be found with the index. Try and determine where your relatives got the names f or their children. Sometimes this can be difficult to determine (or even guess at) and there is no way to know for certain. 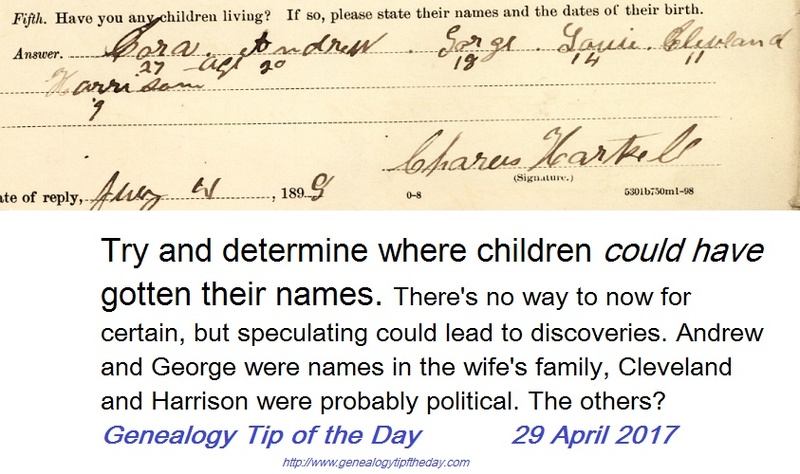 However, looking for repeated names or using children’s names as clues may possibly jump start your research. Names are hints as to relationships. Usually they are not evidence. In this family names that cannot be assigned to the mother’s family or politicians may have something to do with the father’s family. A listing of your ancestor’s personal property, if included in his estate inventory, may suggest what his occupation was. In certain areas of the United States local records will state occupations as a way of further identifying the individual. In other areas such occupations are not often stated as part of the name. In these places, items in an estate inventory may provide indirect evidence as to what an ancestral occupation was. Records that state the occupation provide direct evidence of the occupation. Estate inventories that list items owned provide indirect evidence–because the mention of such items suggests an occupation instead of stating it directly. Indirect evidence isn’t wrong, it’s just categorizing what type of statement it is. A child having a guardian does not mean that both of the child’s parents are deceased. For much of American history a guardian had to be appointed even if the father was dead and the mother was alive. A guardian could also be appointed if someone giving the child an inheritance did not want a parent (usually the father) having control over the property. An immigrant wanting to get married under the legal age would need a guardian to sign off on the marriage even if both parents were living overseas. Do not assume everyone with a guardian had no parents living. Do you notice who is not listed in records where other family members are? In going through a series of “gossip columns” for a family in the early 20th century, I noticed that one individual’s husband rarely attended anything. I’ve made a notation about his frequent absence in my compilation of the columns. There are other records where sometimes people who “should be listed” are not. This happens in more than the gossip columns of local newspapers. Are you making a notation of this in your analysis of the record? Some absences mean more than others. Missing family functions may just mean there’s been some sort of disagreement, that someone is a loner, or needs time away from their spouse. Failing to appear in a city directory may mean a move, failing to appear in personal property tax rolls may mean a change in financial status (or move), etc. Absences matter and not just when Uncle Herman refuses to attend the annual cookout. 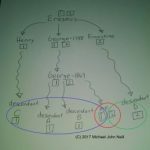 Genealogy Tip of the Day is written by Michael John Neill. cs about which they’ve forgotten, or suggest slightly different ways of approaching research problems. We just want you to keep thinking and analyzing as you research. 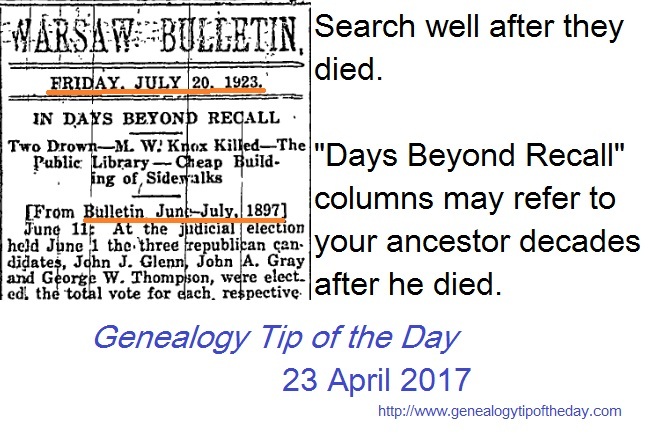 Genealogy Tip of the Day is sponsored by GenealogyBank. They exercise no editorial control whatsoever and we thank them for their support. Compare the actual date of a record with the date indicated by the database. Don’t assume the database is correct and use the actual record date where possible since it’s more accurate. Any database can occasionally have a date incorrect. Small differences usually don’t have a huge impact on research conclusions, but sometimes they do–depending upon how “off” the incorrect date is. Did Grandma Estimate Her Place of Birth? If your ancestor was born in a small, out-of-the-way place, it may have been easier for them to give a nearby larger town as their place of birth instead of where they were actually born. If you can’t find them in the “town where they are supposed to be,” try the smaller outlying towns instead. 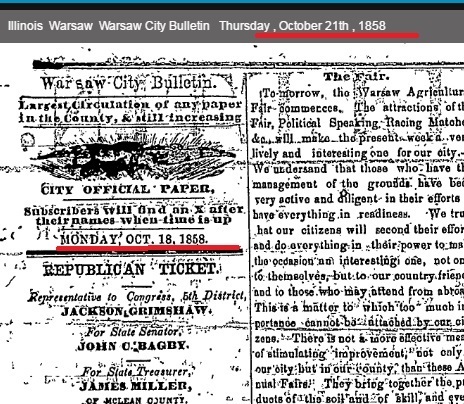 Newspapers can contain references to people long after they died. They can be mentioned in obituaries of their children or other family members, retrospective columns, references to their former residence or farm, etc. Don’t assume that someone will not be in the paper after they died.